Gamer’s Thoughts: Why RollerCoaster Tycoon ruined Tycoons for me. Lately, I have been playing the old PC games in my collection. While I’m highly enjoying myself. Some thought is actually popping up here and there. It’s a feeling that the Tycoon games could have been so much better. But when I played Zoo Tycoon, it actually hit me. RollerCoaster Tycoon spoiled me with features so that I start to enjoy myself less and less in other tycoon games. And in this article, I’m going to try and explain why. Why do I enjoy the original RollerCoaster Tycoon that much and why don’t I enjoy other tycoon games? Also, fair warning, I haven’t played a lot of RollerCoaster Tycoon 2, and I bought the expansion packs years later. So yeah, I always played the vanilla version of the game. Feel free to leave a comment on the content and/or your opinion on this article. Do you have a similar thing with Tycoon games and/or with a different game & genre? I’m curious to know. In any case, enough stalling. Time to put these thoughts on paper. I haven’t, to be honest, played a lot of Tycoon games throughout the years. But before we continue, we have to agree with a tycoon game actually is. Even the Wikipedia article on Tycoon games gives a pretty vague definition. So, let me be clear for this article. With tycoon games, I mean games where you are an owner of a company where you need to run it. So, for example: in Game Dev Tycoon, you are the owner of a game development studio and you need to make games and manage the finances. A few games I have played that it that played that fit that bill are RollerCoaster Tycoon, Zoo Tycoon, Game Dev Studio, Game Dev Tycoon, SimCity 3000 and Lemonade Tycoon. And honestly, I don’t think I have played other Tycoon games. The genre honestly interests me, but why don’t I play a lot of it? I blame the excellent game RollerCoaster Tycoon. So, I have been playing a lot of RollerCoaster Tycoon lately. I have finished 7 missions so far. I’m playing with the two expansion packs installed. Something I wasn’t able to do when I played this game in my childhood. I have rarely played the sequel RollerCoaster Tycoon 2. I remember one time picking up an expansion pack by accident before I knew how expansion packs worked. Yeah, I didn’t know that I had to own the base game. I have played the game recently, but I was let down by the interface. The interface of the original was more accessible than the sequel. But, that’s an article for another time. After RollerCoaster Tycoon, I played RollerCoaster Tycoon 3. But that game interests me less than the original game. But the game has a ton of features I would love to have in RCT 1, but I enjoy myself a lot more with the original. Why is RCT so good in my eyes? Why do I love RollerCoaster Tycoon so much? Maybe it’s because it’s the first game that introduced me to the Tycoon genre. And let’s be honest, it’s one of the best games created in the Tycoon genre. I remember playing Zoo Tycoon and always comparing it to RollerCoaster Tycoon. “Oh, you can do research in this game too.” That’s one of the sentences that went through my head. Other similar things did as well. I was also disappointed with the fact that your guests were able to go off the paths and walk to other animal cages/exhibits. The building system is the best system I have seen in tycoon games. There a lot of things you can’t do with it, like curved paths. And that’s the charm of it, it’s simple and easy to use. You don’t need a lot of buttons to create something amazing. I rarely had to struggle with the controls. Something I had to do with the recent games in the franchise. The biggest reason why I enjoy RCT so much, I think, is the simplicity of everything. Most things are just one click away and/or one button press away. The interface has all the options you could wish for and I love to use it. Also, the game is easy to play but difficult to master. The game has just enough depth to be challenging & fun and to avoid being overwhelming. In the more modern Tycoon games I played, there are way too many little things that I can do and/or have to pay attention too, I rarely remember checking them. And that makes the game more difficult for me and less enjoyable. I have only two complaints with the game. And that is that some missions are ridiculously difficult and some better mod support would be great. You can add custom scenarios but it’s difficult to create your own custom scenario. Thankfully, there are a lot of tools floating around on the internet to aid with this. Writing this article has been interesting. I honestly can’t explain why I compare the tycoon games I have played with the original RollerCoaster Tycoon. Possible factors are nostalgia and the gameplay, but I can’t pinpoint it. I also considered the fact that I don’t really like tycoon games and that RCT is just an exception. It was a rather interesting question to think about. And this article was the best way I could explain it. 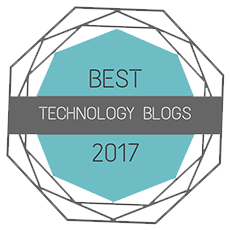 In any case, thank you for reading this article and I hope you enjoyed reading it as much as I enjoyed writing it. I hope to be able to welcome you in another article but until then, take care and have a great rest of your day! This entry was posted in Articles and tagged 001, arpegi, coaster, does, gameplay, games, gaming, genre, jea, Jonez, jonez001, jonezjea, neko, NekoJonez, original, other, RCT, roller, ruined, screenshots, The, tycoon, why on January 7, 2017 by NekoJonez. 10 most influential games (series) in my life. I played a lot of games. On the computer, DS, gameboy and many other platforms. In this article I will talk about my list of games/game series that had the most influence on my life, game life and or style. This list is somewhat in an order, but sometimes this list can change for me currently. I won’t update this list but it might happen that I make another list with 10 influential games to me. But one thing is for sure. These 10 are the current games that have or had the most influence on me. They either made me love a game genre, a series, make me happy or made me change my personality. As experiment, I would like to know what games you guys think changed you. Drop them in the comments. Probably there will be similar games. But all these games on this list come extremely recommend. There is rule though, when I select a game from a series, I won’t use the series again in another slot. That’s why I allowed myself to pick game series. I already explained why I liked Virtue’s Last Reward so much. 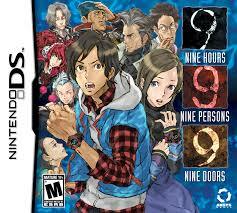 In that review I also mentioned the game 999. This game didn’t come to Europe and I had to import this game. I am truly glad that I imported this game for my DS. The story is quite thrilling and made me love the visual novel genre. Since this game, I got a harsh judge on game stories. I get somewhat disappointed when a game has a weak story that doesn’t draw me in. All thanks to this game. I often listen to the music, which makes many situations intense. I often use it as inspiration when I am writing stories, whenever I have to write a trilling part. It makes the story write itself. What I loved so much are the puzzles to escape a room. I often try the Android games where you need to escape a room. It doesn’t do the same thing to me but hey, nostalgia! In addition to that, the different endings where genius. There were based on the path you took and really made you come back to see what actually happened. A fair warning, when you download this game onto your Android or iPhone, well be prepared to not put it down for quite a while. This game is getting pretty popular to the point where GreenHartGames made a spin-off on it. But it’s this game that made me think. Are there good games on the Android market like this one? And yes, there are. I explored the Android Market and really got some fun games to play. I was against tablets but thanks to this game I got myself a tablet for my last birthday and I sometimes continue my adventures on the Android market. The game actually made me do something I always wanted to do. Make games and being the head of a game company. The amazing references really make the game have some humor that even make it less easy to put this game down. The other games of this studio are extremely fun and really a play worth but this game is where it started for me. This game series was very important to me since it introduced me into strategy games. I recall many moments where I go online with the Age Of Mythology to do some matches. It made me even go so far that when I played cop & robber with my friends that we got somehow to a version of this game. Yes, I swear that we played these kinds of things in my backyard. This game series is nearly flawless, expect the major failure that is named Age Of Empires Online, and I still love it to this day. I follow blogs and people who make expansion packs on their own for the games and I often try them out. This game really made me and my sister sit behind the computer for hours on end. We even asked if we could install the game on our parents their computer, so we could play over LAN. Those were fun days. I once even entered a tournament where I lost, but I truly remember getting ready for it and trying new strategies out all day. I’m now grown out of the game. It has been quite some time since I played one of the series. Well, maybe after this article I go get my game discs and install and play it. I hate shooters, yet I often play one. My view on shooters really changed thanks to this game. I might call myself a fan of the series. I don’t own a XBOX 360 to play the other games, and I don’t plan to. A good friend of mine told me that they are going in the wrong direction with the series. This game I played online so often that my mother got angry that I didn’t play anything else then shooters. And I had to shut down the game for a while. I played this game even with my girlfriend and I truly had some big fun. The story in this game was extremely well done and made me try other shooters. A genre I think is overpopulating the market now-a-days. It also made my interests go to space for quite a while and when I heard there was a DS game under development I got extremely excited. And man, was I disappointed that this game was canceled or fake. I don’t know it for sure yet. If you haven’t played this game, shame on you, get this game and play it after you read this article. It’s fun and after I finished this game again, I will sure to write a review on this gem of a game. But yeah, most people probably played this game already since the first XBOX got popular thanks to this game. “Mom and dad, please don’t shut down our PC. We’ll lose our progress.”. I don’t remember how often I told that to my parents when playing this game. The version we had, had trouble loading save files and we finished to scenario’s in one go. My sister & I played this game an awful lot on the computer, and we actually took turns to finish a scenario. When one of us was playing this game, the other sat there watching carefully and enjoying seeing the park grow and getting more money. As kids, we weren’t all that great in finishing this game. We made stupid decisions yet, we had some major fun. Like with the 3rd game. I was so thrilled when I got my stronger computer for Christmas and when I was able to play this game at home. Before I had to wait when we went to my grandparents because their computer was strong enough to run the game. I even remember that I had to write on their blackboard in order to ask permission to play the game. Yeah, bad handwriting. But I never played the 2nd game in the series. Now that my collection is complete of this series, I am going to try the 2nd game rather soon after I finish the first game. Playing as an attorney is boring! OBJECTION! It isn’t. At all. This game actually introduced me to the visual novel series, and I am grateful for that. Nearly everything in these games is perfect in my eyes and when I’m going to review them, I will have some major trouble finding bad things in these games. Some quotes of the game even slipped in my vocabulary and yes, some character movements actually slipped inside my handelings. I’m extremely excited to see the 5th game in stores since we didn’t get one game in the series. This series truly made my love for my Nintendo DS even grow bigger and I never could put it down since then. So HOLD IT, and give this game a go. You won’t regret it if you like games where you need to think and get a great story. Do you truly require me to explain why Minecraft has such a big influence on me? My review wasn’t clear enough about that? Oh well, let me tell you why it’s so important to me. Secondly, this game brought my friends and myself pretty close. My best friend MiseryLC & I wouldn’t be such good buddies if it wasn’t for Minecraft. Third, this game let me do what I want. Nothing in the game is going to limit me to play the game how I want. And last point is, I met my girlfriend thanks to Minecraft. Long story, I’ll spare you guys. But that are 4 major reasons why this game deserves such a high spot in this list. Surprisingly enough, this game doesn’t get the number one spot. The game that spawned my nickname. 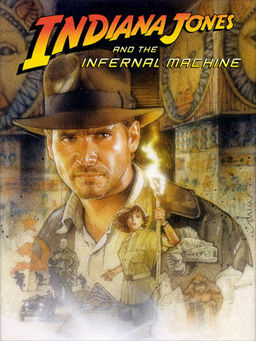 I love the Indiana Jones series and actually it’s something that has been extremely important in my life. I remember seeing the first movie in the rental store and after I watched it as a 7 year old, mostly not understanding a letter of what they were saying, I was hooked. I watched the other movies and once one of my cousins learned that, he showed me this game. And I loved it right away. I didn’t play anything 3D before this game and when we started playing this game, like I told, I couldn’t stop playing. My love for the Indiana Jones games went a bit downhill once Indiana Jones and the Emperor’s Tomb was released but I prefer this game above the other one. This is a game I know nearly by heart. I often try to play it and I got me sad when I found out that I wasn’t able to finish my LP on my Youtube channel. I played the levels in my backyard together with friends. Yes, we tried to make it exactly go like how the developers made the level in the game. Oh, and thanks LucasArts. Rest in peace guys. Find me one gamer of my generation that doesn’t know the first Pokémon game. This game is almost so well known it might just be popular then the flagship title of Nintendo. I really love this series, and I’m ashamed that I didn’t finished the latest entries yet (I got distracted by other games), and I plan to replay the games rather soon. The many spin-offs in this series really made me love the series more. I loved to draw circles in Pokémon Ranger, and I even started to have interested when I played Pokémon Pinball. Every game in the series has an element that draws me in and makes me finish the game.I’m really looking forward to the newest games X & Y. To see what they are going to do with the series next. But now, I need to finish the latest Mystery Dungeon game. So, what’s your favorite generation? Mine is the 3rd one. The Ruby, Saphire and Emerald games are truly my biggest favorites and recently have beaten my old favorites Gold & Silver. The people who know me really should have seen this one coming. I simply can’t put down a Zelda game. I truly am a big Zelda fan. When I was on my trip to America, I bought myself a wallet, shirts and other merchandise of the series. I nearly got a tear in my eye when I was able to hold an actual NES cartrigde of the first game. (I don’t own a NES, but I have the first game as the GBA release). I am such a big fan that I even saved up to go to the concert of the Zelda music. Wait, that’s mostly classical music and I listen to electronic genres. Yes, my dedication for the series is that big. I own even the Zelda Historia AND I pre-ordered my DS for the only reason that there was a Zelda game released on it. It was also my first game I played and did I enjoy it. I can talk ages about the series but I won’t. I need to finish this article. Let’s just write it in a list. Freddi Fish, Broken Sword, God Of War, Dragon Quest, Time Hollow, Peggle, Tetris DX, Draw My Life, Corpse Party, Hungry Shark Evolution, Kirby, Desperados, Devil May Cry 4…. I can go on for a long time but this article has run long enough. It pains my hart that I had to leave out so many great games. I might even have forgotten some great games. Oh well, maybe I write another article about this subject where I talk about 10 other games that changed my life. But like I said, these 10 games are the 10 MOST influential. Thanks for reading and I hope that I see you another time on my blog. This entry was posted in Articles and tagged 001, 10, ace, age, and, android, attorney, bored, coaster, empires, games, i, idea's, in, influential, Jonez, jonez001, Legend, life, minecraft, more, most, my, neko, NekoJonez, Of, on, play, roller, tags, The, top, tv, tycoon, Zelda on May 29, 2013 by NekoJonez.